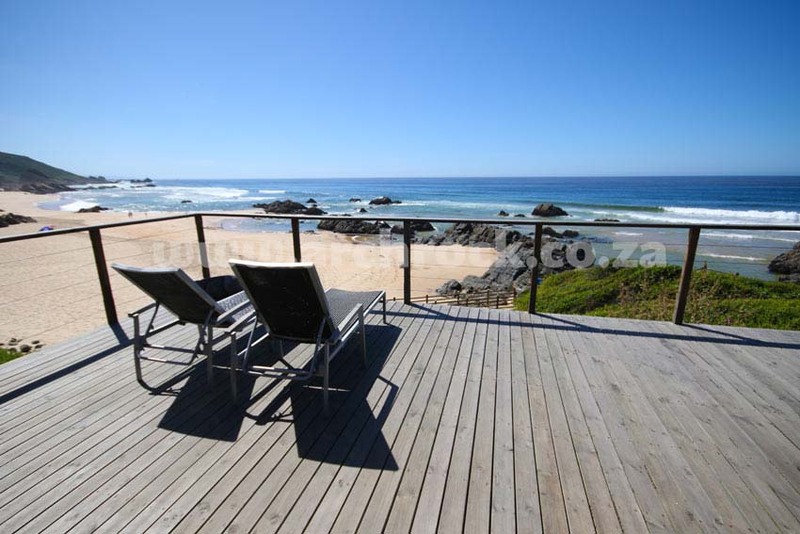 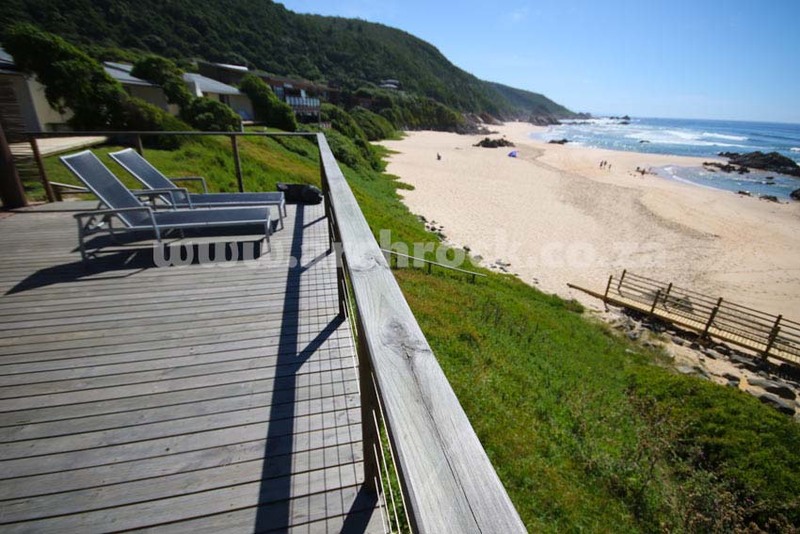 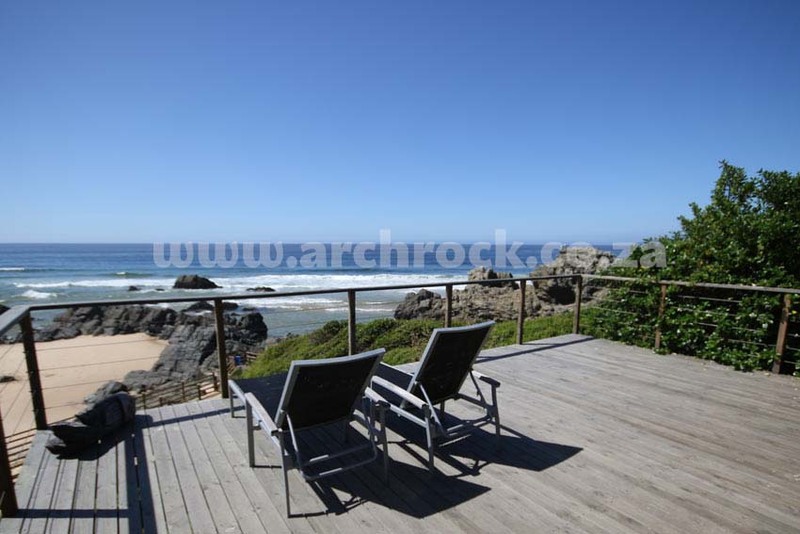 Arch Rock Plettenberg Bay South Africa - Sandy's Cove overlooks the beautiful Keurbooms Beach. 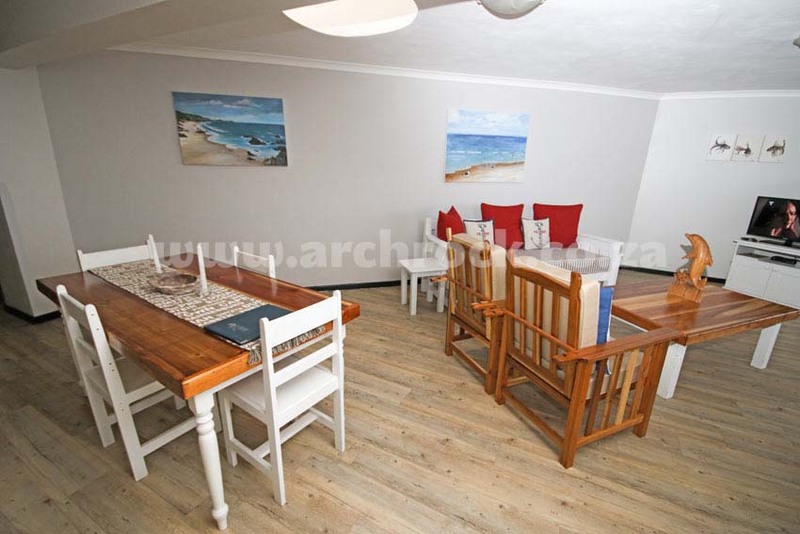 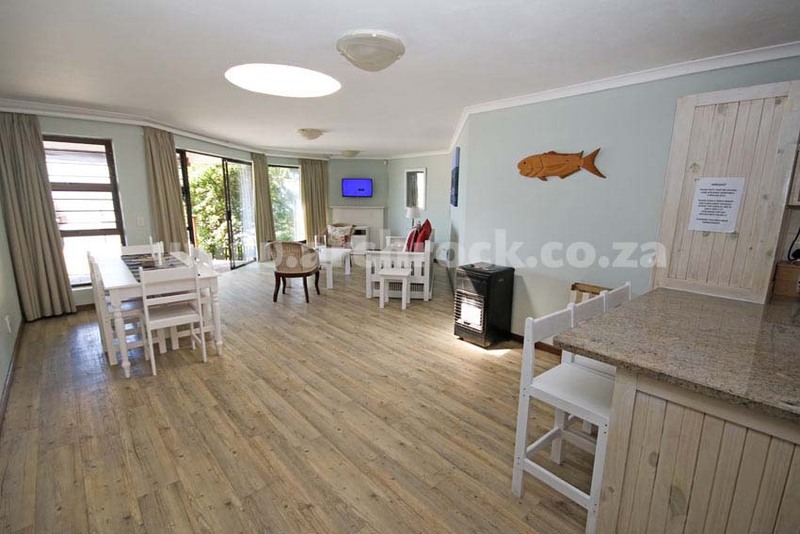 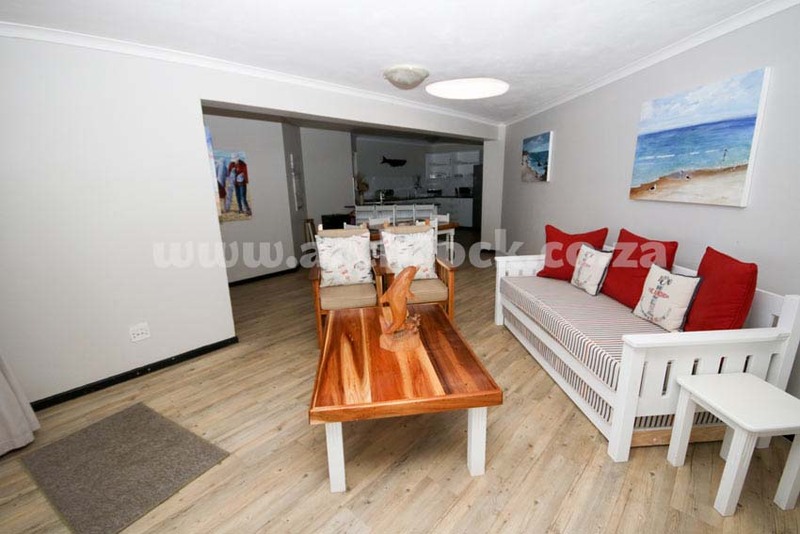 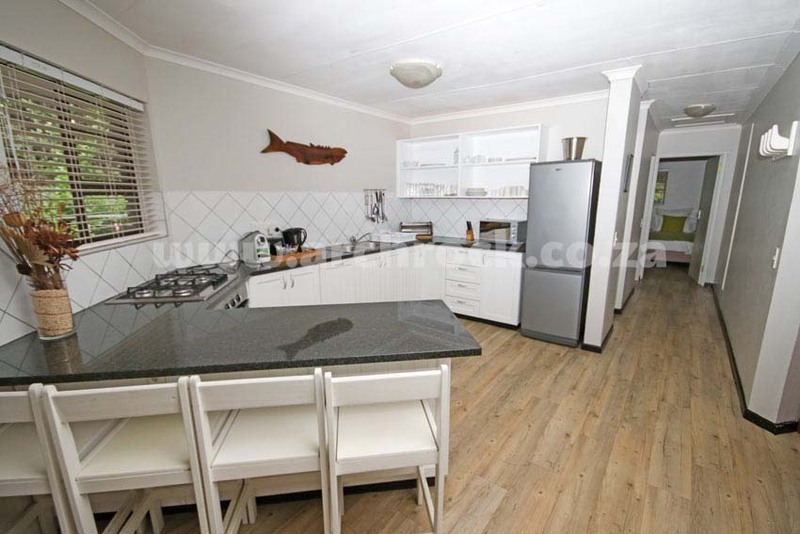 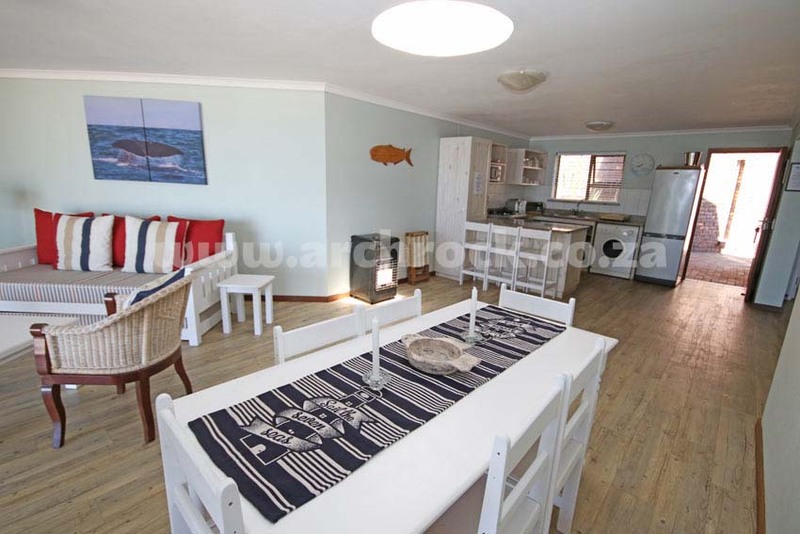 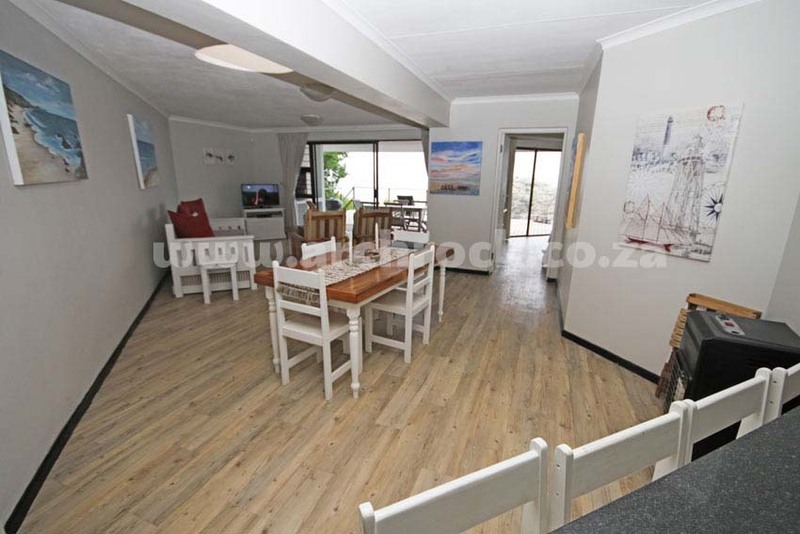 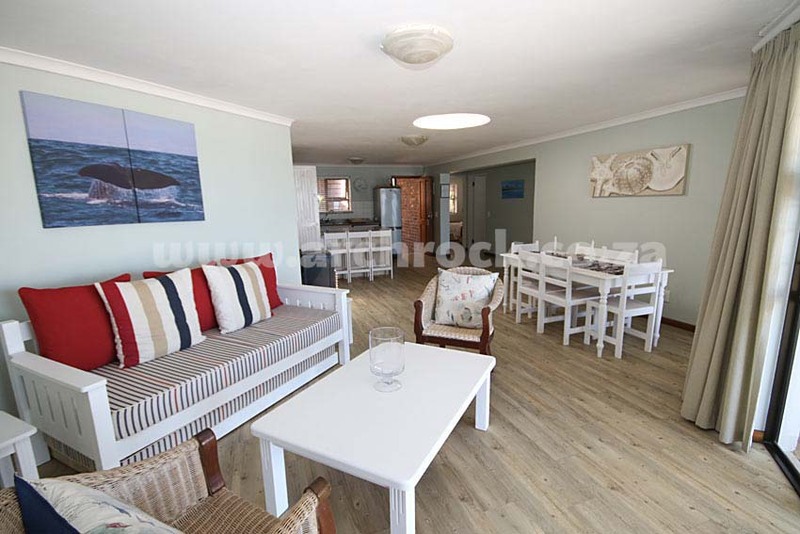 Sandy’s Cove has a very spacious living area which consists of an open plan lounge/dining room/kitchen. 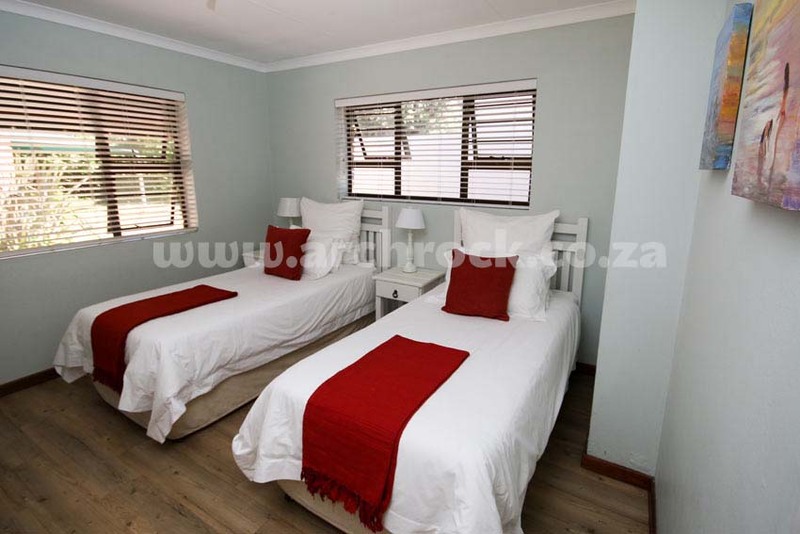 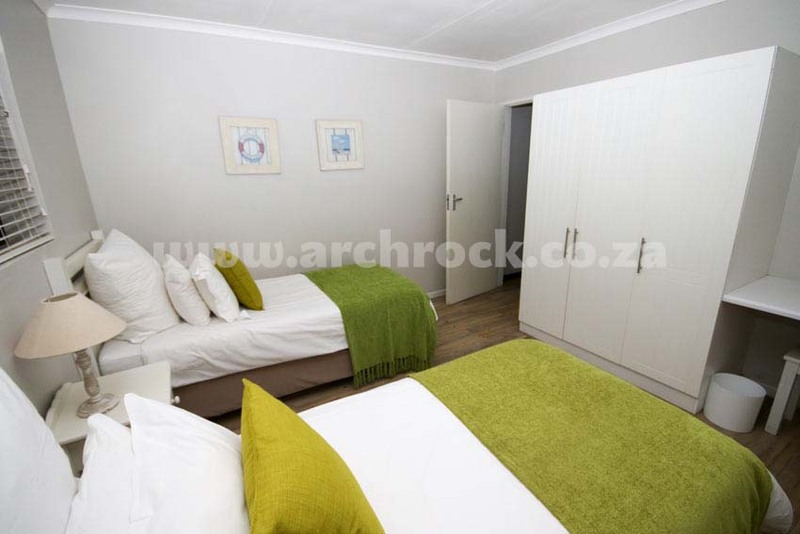 All units have a double bed in the main bedroom and two single beds in the other. 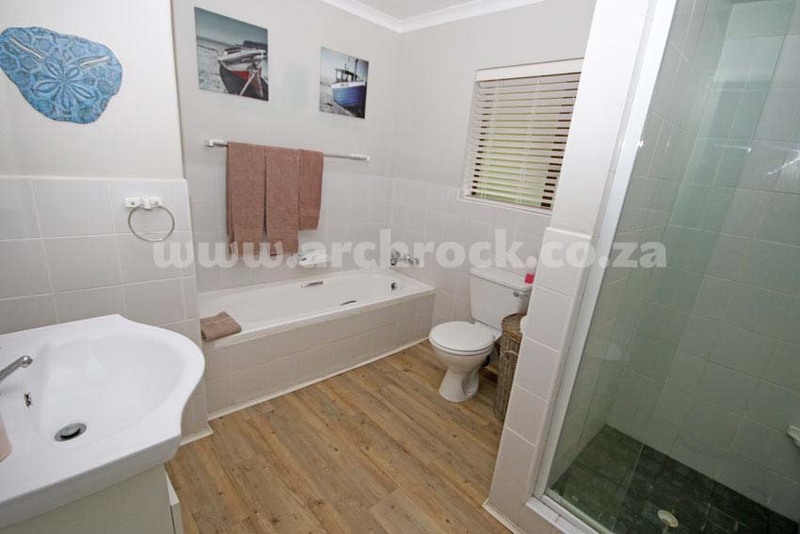 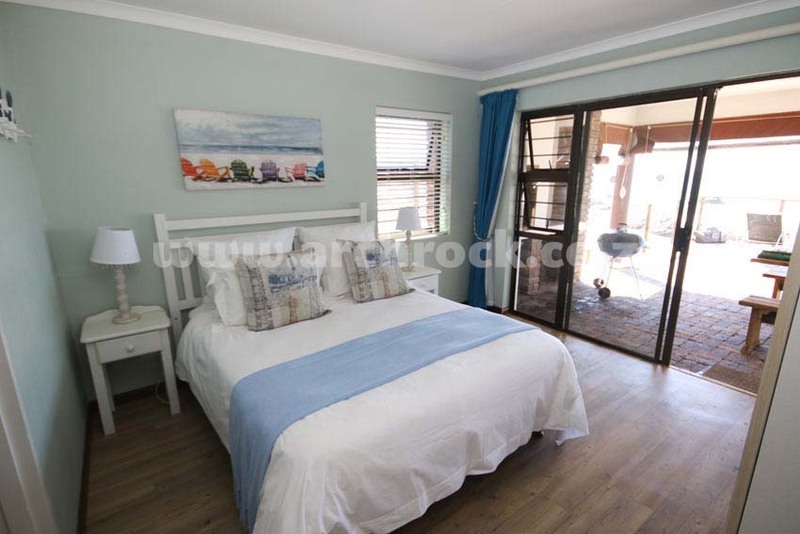 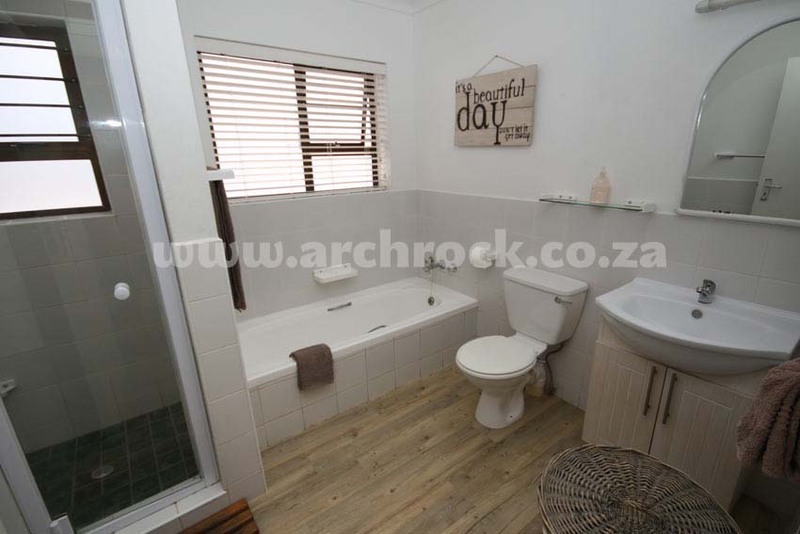 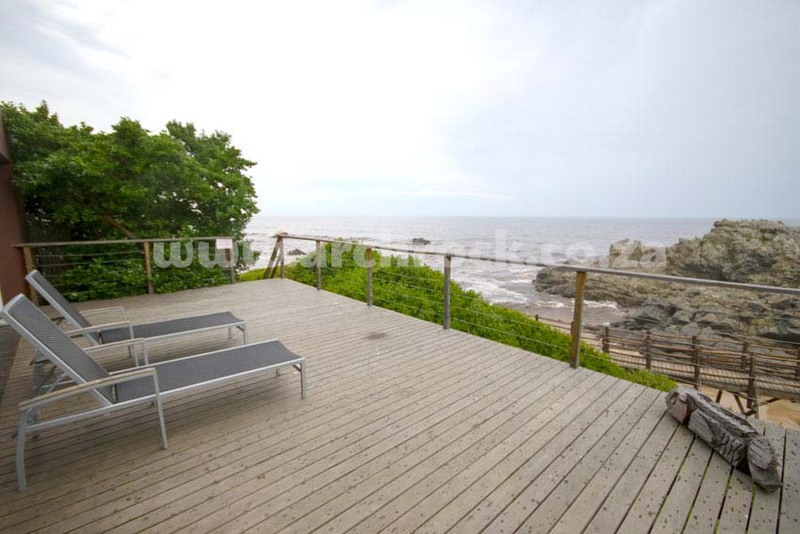 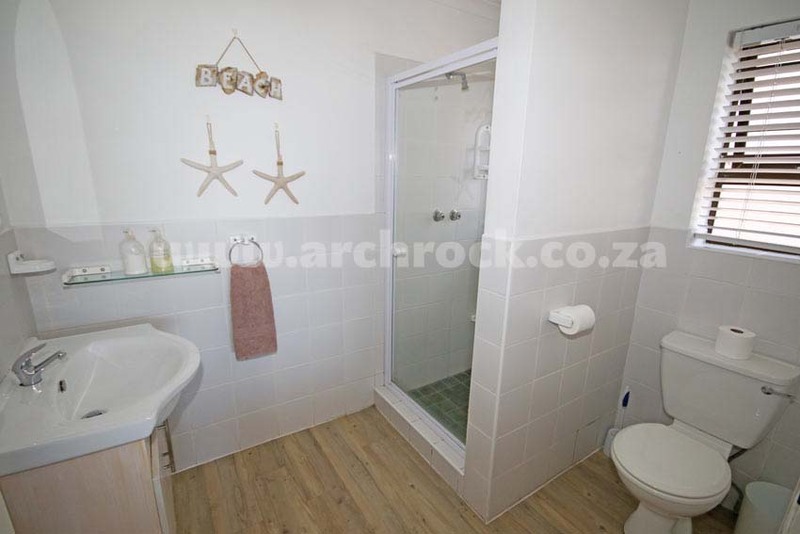 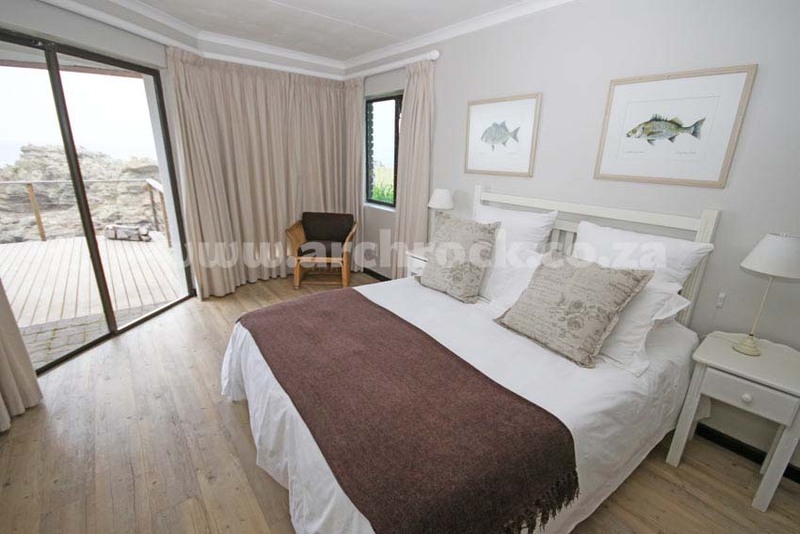 The main bedroom has a lovely sea view and has an en suite bathroom. 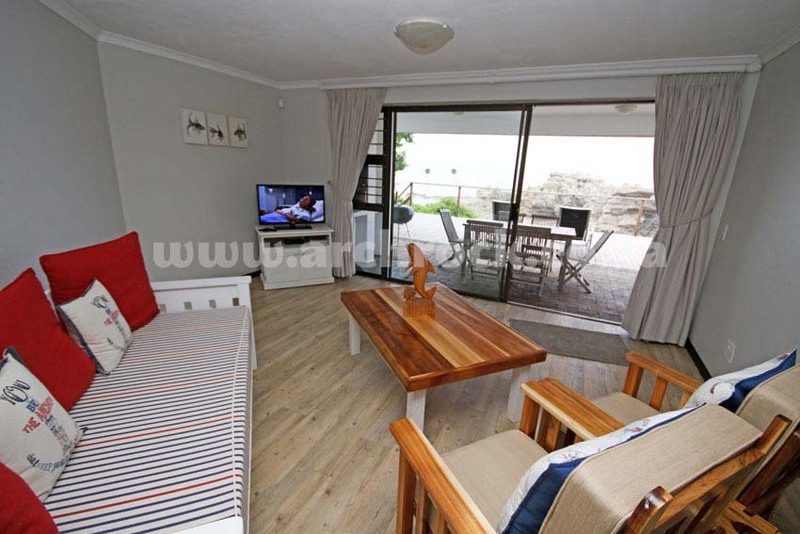 There is a double sleeper couch in the lounge, which has a breathtaking view of the beach. 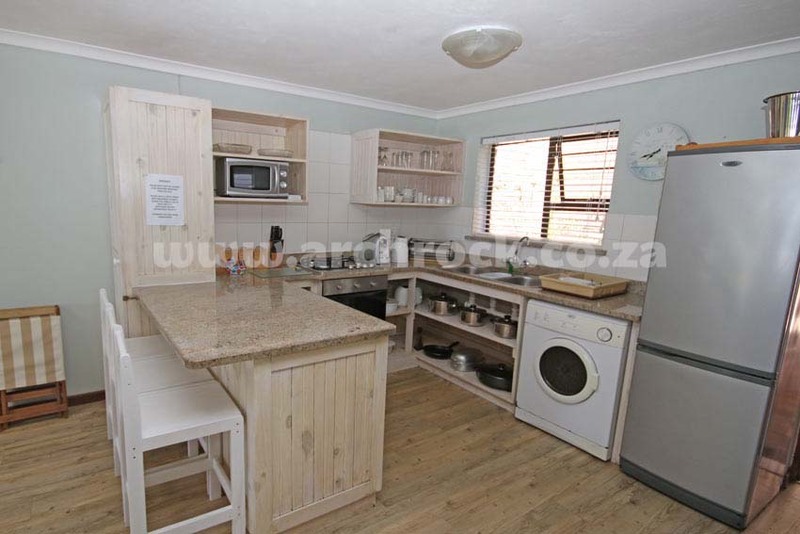 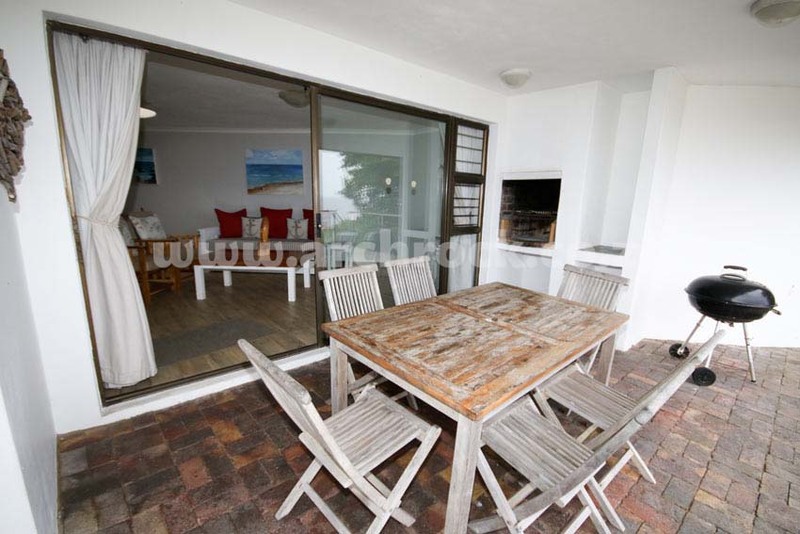 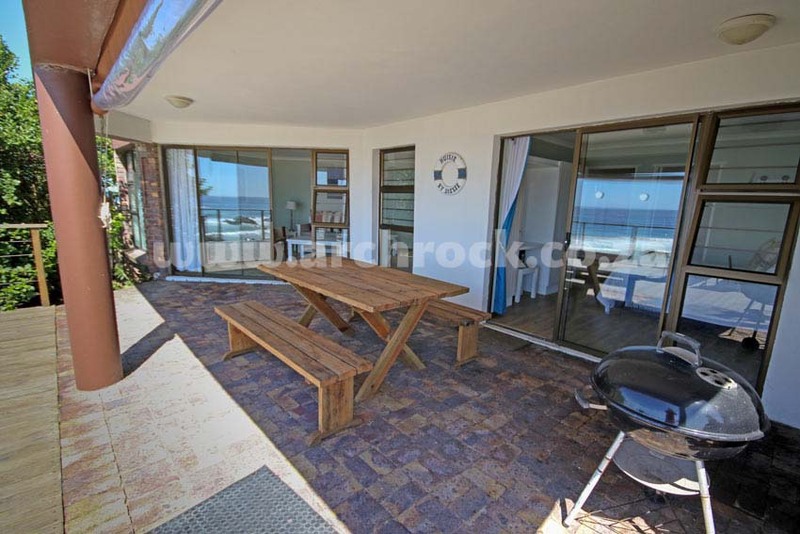 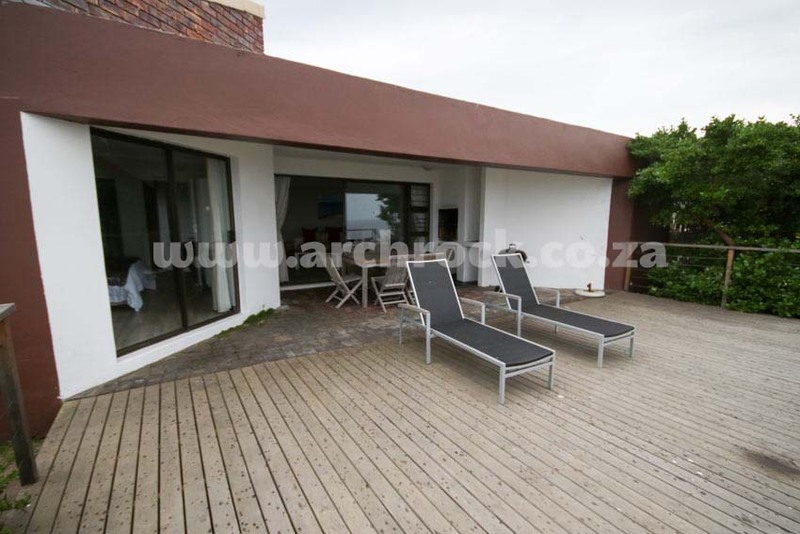 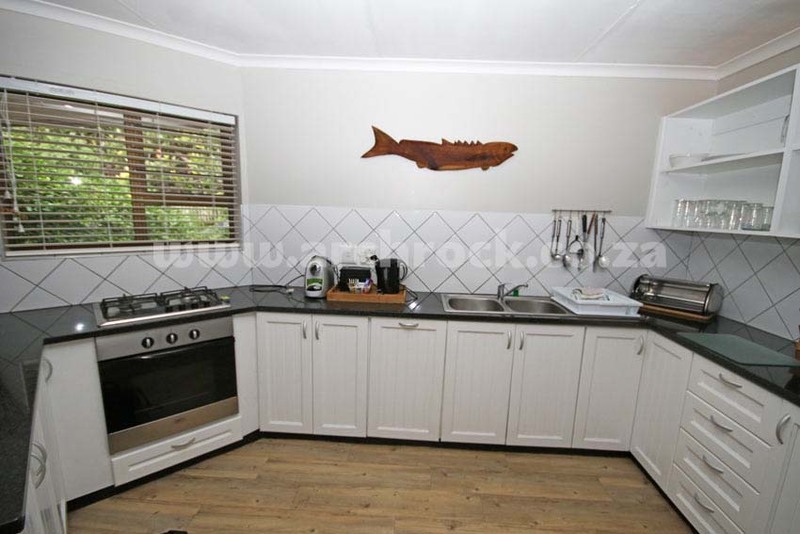 The lounge opens onto an enclosed patio with built-in braai (BBQ).